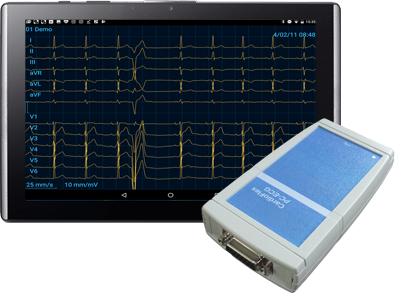 CardioFlex ECG is a small and flexible 12-lead diagnostic ECG device with an endless range of possibilities. 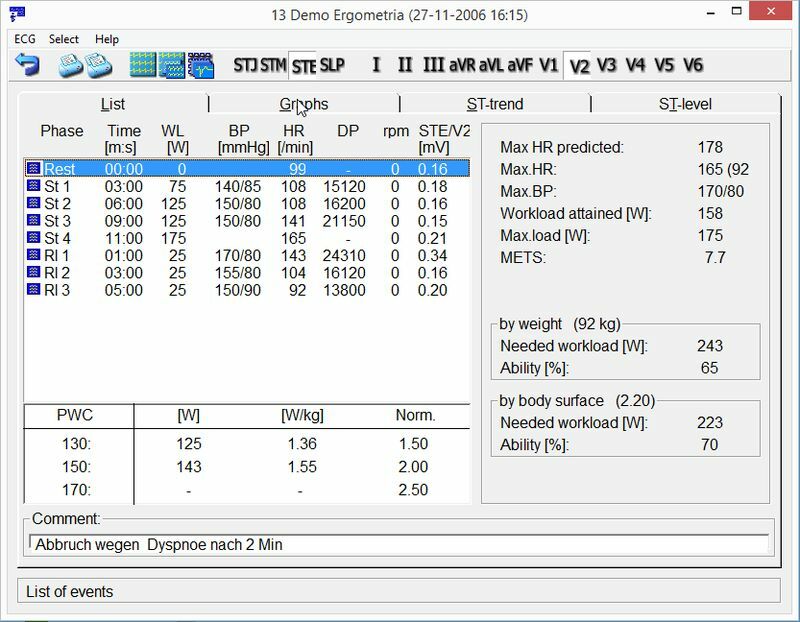 Measuring only 130mm x 70mm x 25mm and weighing only 160 grams, CardioFlex has more to offer than meets the eye. 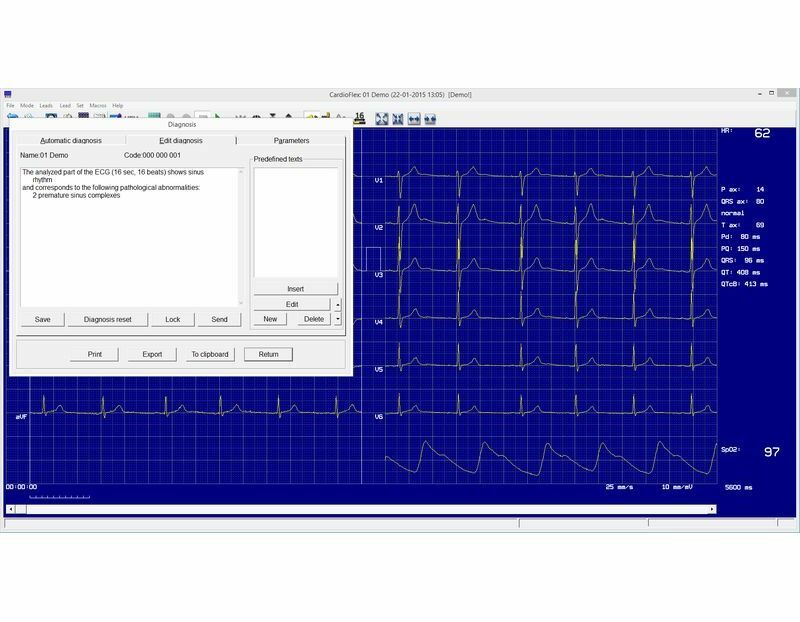 CardioFlex is perfectly adapted for general practitioners, sports physicians, cardiologists and occupational medicine: just connect the patient cable, connect the device to the PC (USB or WiFi) and start recording a high quality 12-lead ECG. 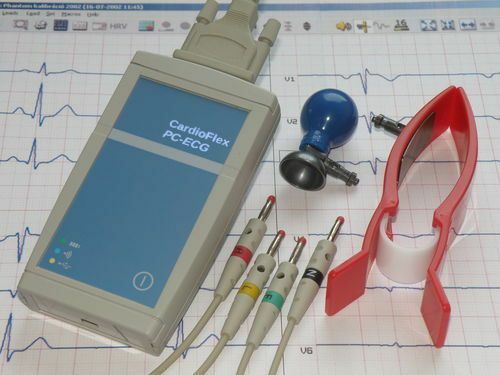 The integrated filters make sure that the quality of the ECG is perfect at all times. 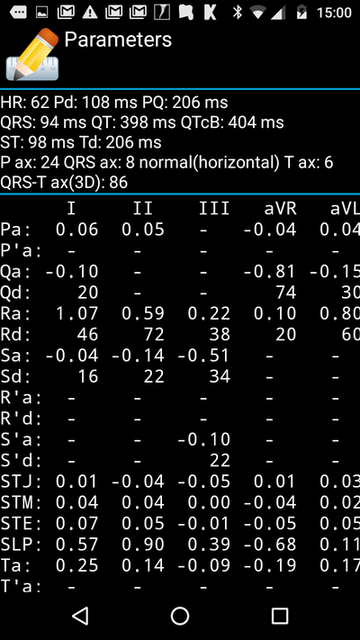 Optionally the device can also perform a complete stress test. CardioFlex USB does not contain a battery, it takes power directly from the computer's USB port. The device is extremely simple to use: just plug it in and it works - a true plug-and-play! CardioFlex WiFi gets rid of cables once and for all! 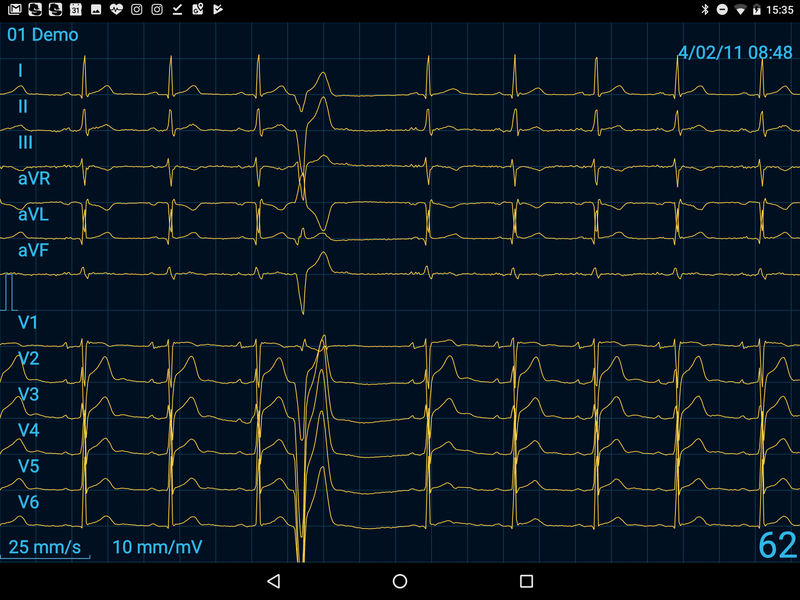 The ECG device connects wirelessly to a PC or Android device using WiFi technology. 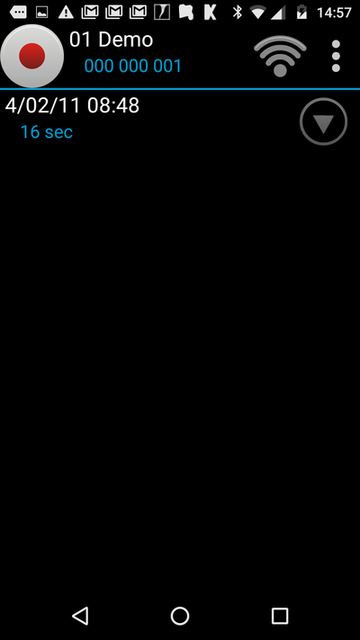 The internal litium-ion battery can be charged by connecting the device to the USB port or with the included adapter on a power socket. 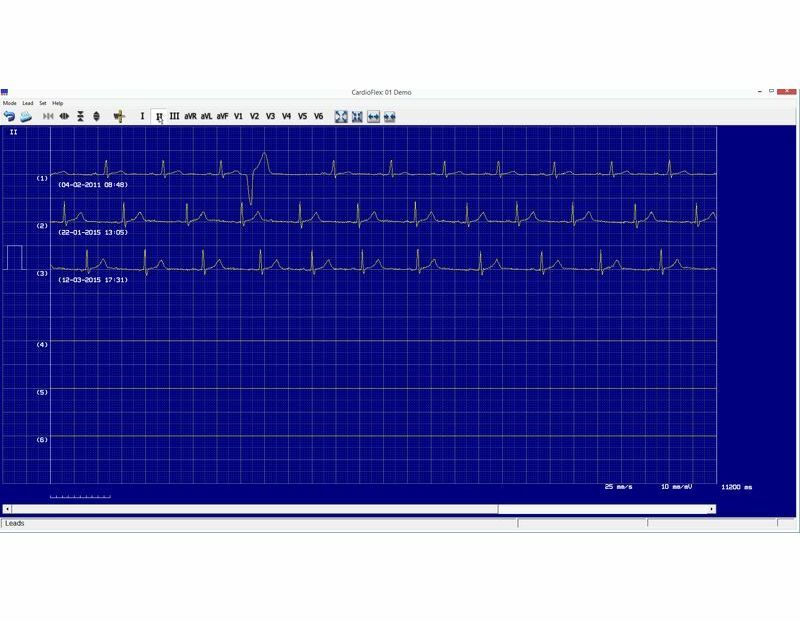 The extremely user-friendly CardioFlex software allows for quick and easy recording of real-time 12-lead ECG's on the screen of the PC. 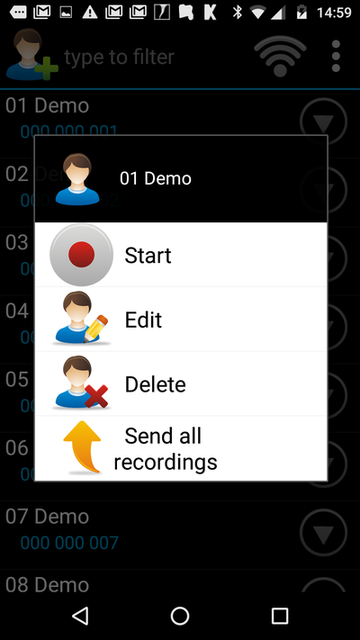 Any part of the recording can be printed or exported to PDF with 1 click. 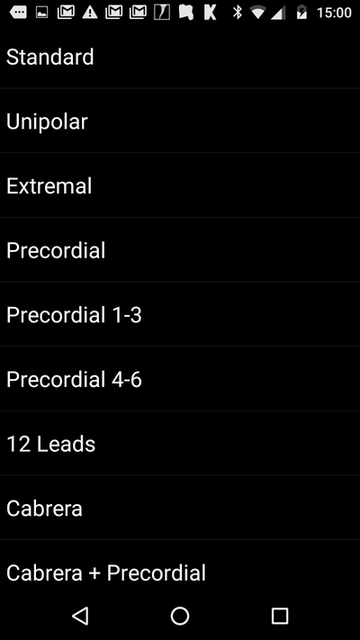 The automatic diagnostic module is included by default. It has been independently reviewed and is very accurate. 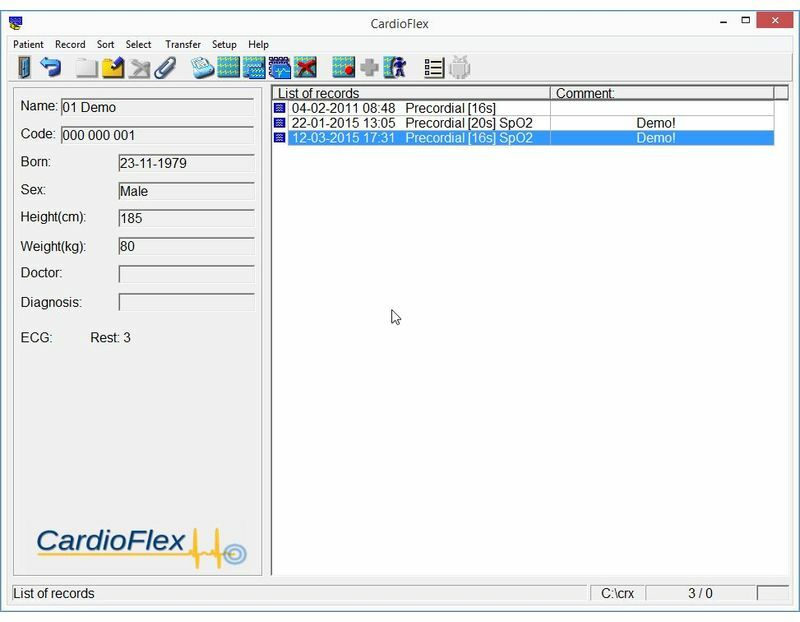 The CardioFlex software can be installed in a network: all the computers in the network can use the same central database. 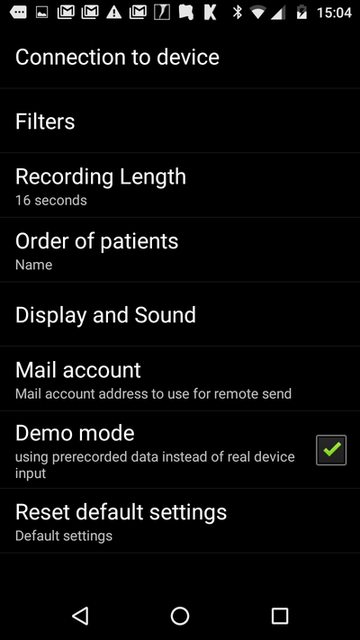 The software can be linked to an Electronic Medical Record (eg. 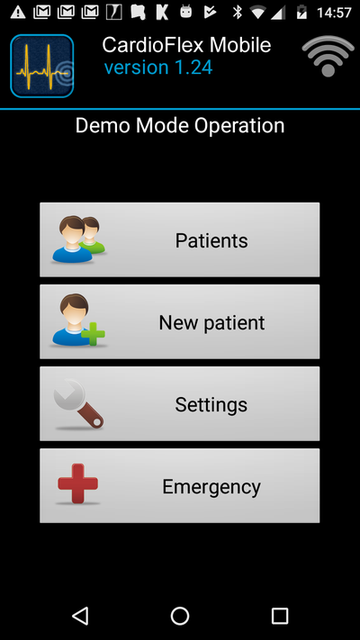 : HL7, GDT, SCP, XML) and is compatible with the WiPaM telemedicine platform. The software is available in more than 15 languages and is very flexible. 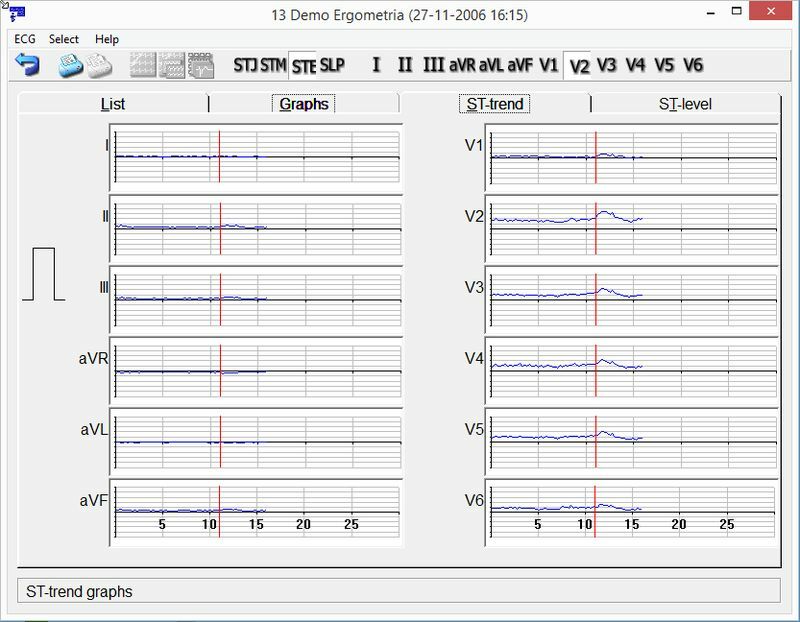 The report shows all parameters and allows for manually measuring and even editing the basepoints for the diagnosis. 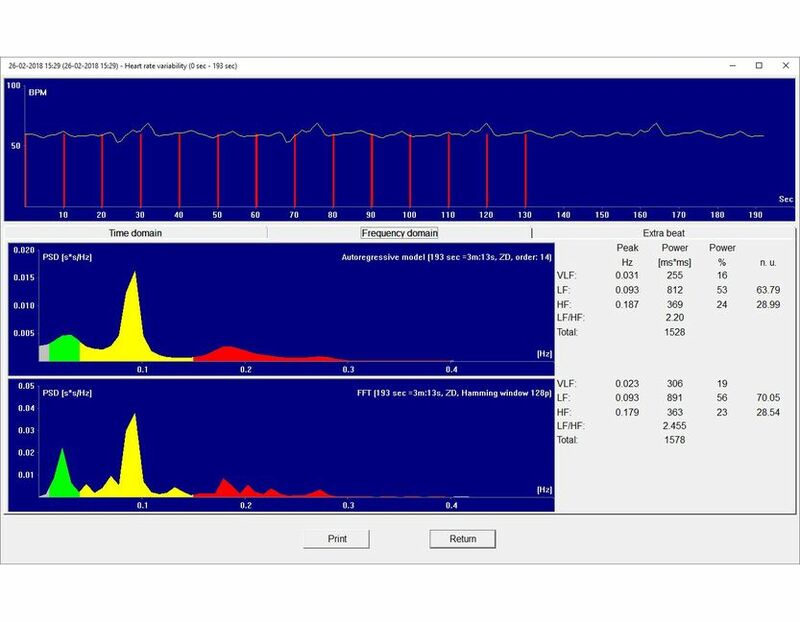 The diagnosis and parameters are available without additional cost! 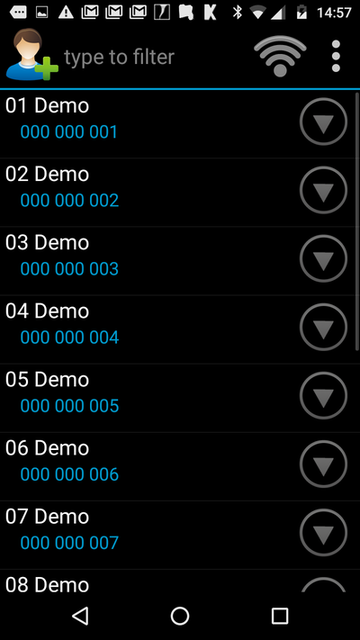 Heart Rate Variability calculation is available for recordings over 120 seconds. 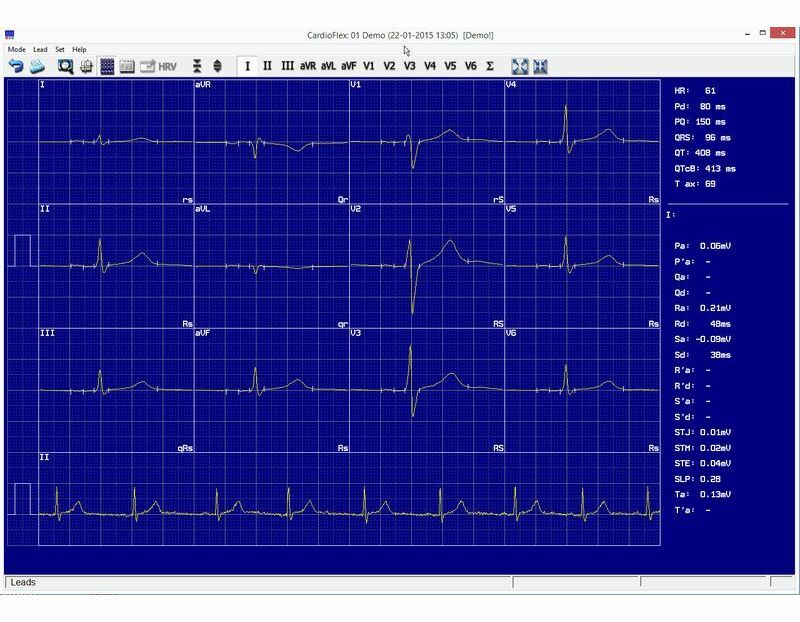 The user can select several recordings from a patient and show them on the same page to compare them and see the evolution of the ECG. 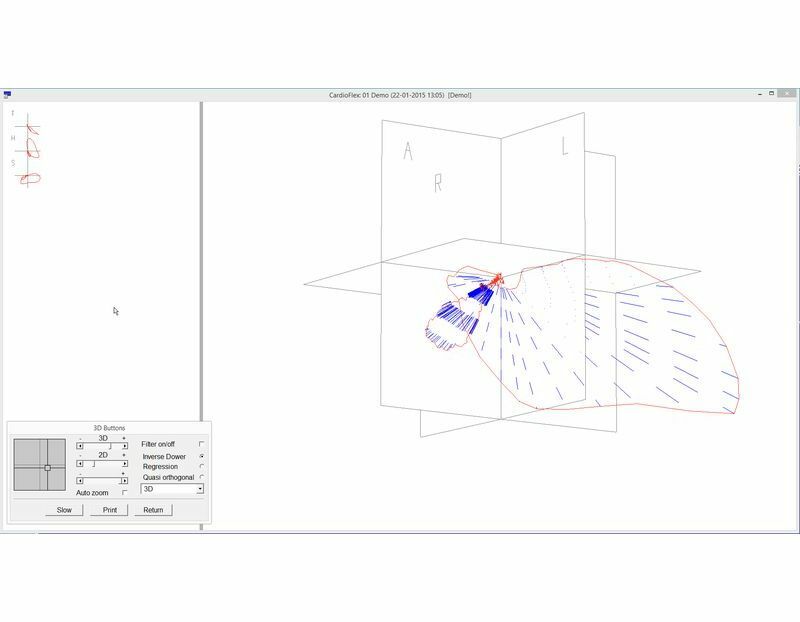 The same is possible for the median complexes and the parameters. 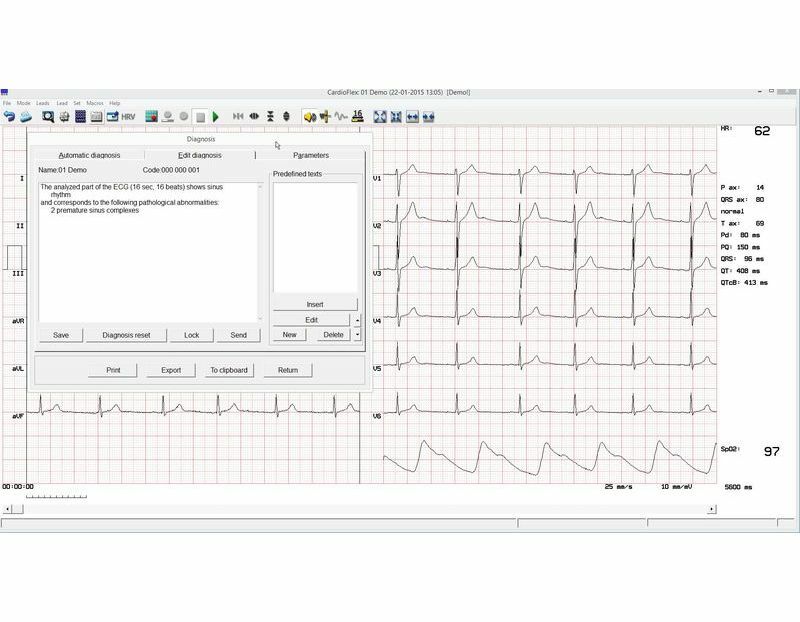 This is extremely for long-term follow-up of the evolution of a patient with a heart condition. 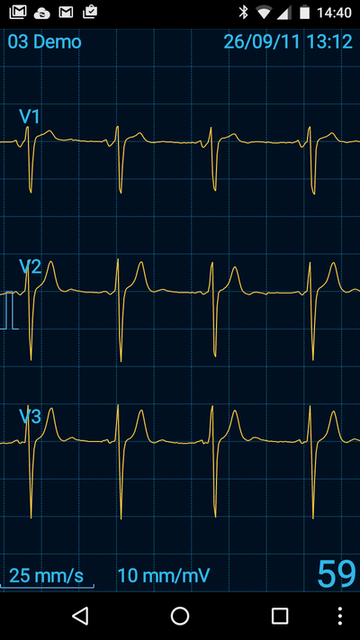 Due to sustained training, anatomical changes in the heart can result in changes in the ECG of athletes. 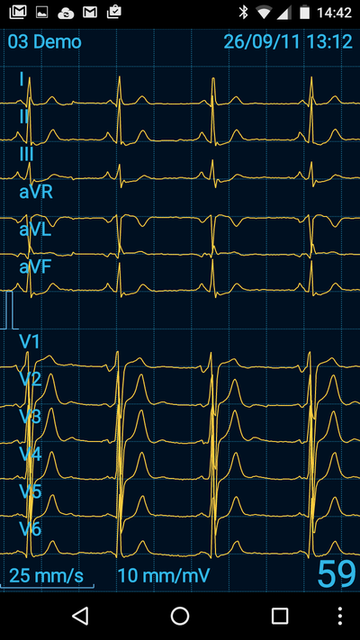 The Seattle Criteria for ECG interpretation have resulted in improved specificity without affecting the sensitivity. 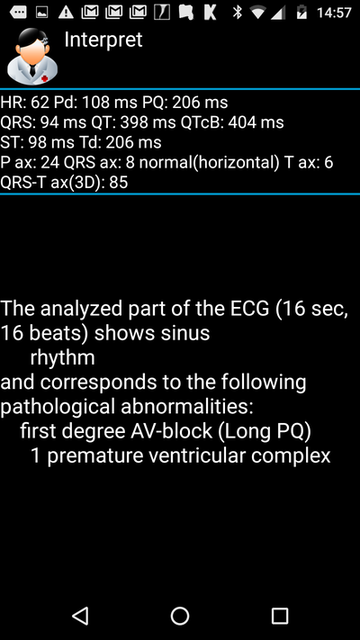 CardioFlex is the first ECG device with an automatic interpretation according to the Seattle Criteria. 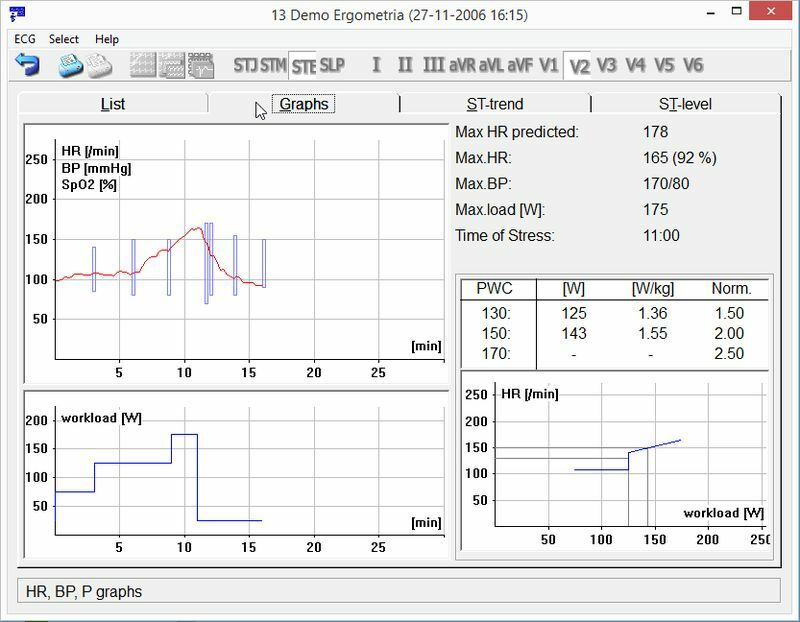 The stress test option allows the CardioFlex software to control the exercise bicycle ergometer or treadmill and an automatic blood pressure device. 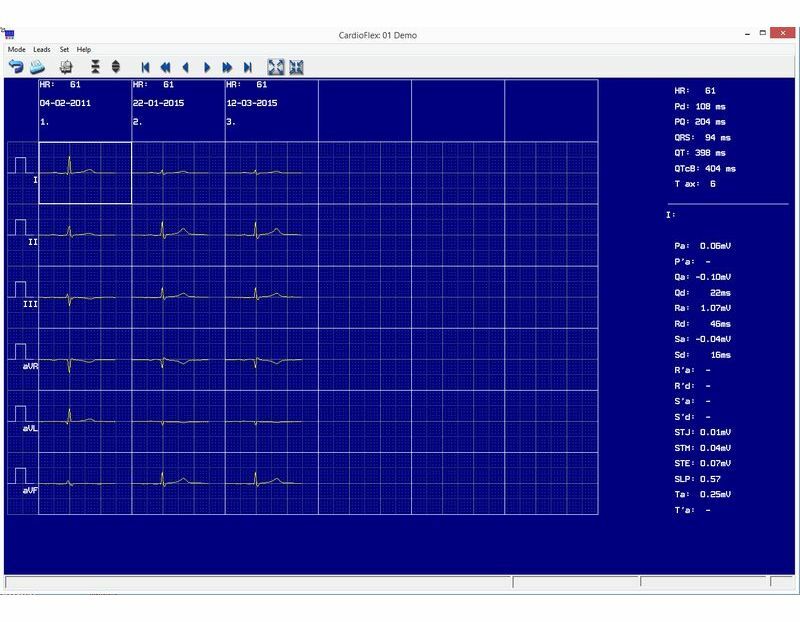 During the test the CardioFlex software shows the 12-lead ECG, the median QRS complexes, parameters, ST-trend, workload, METS, heart rate, blood pressure, pulse oximetry (optional), RR and PVC's in real-time. 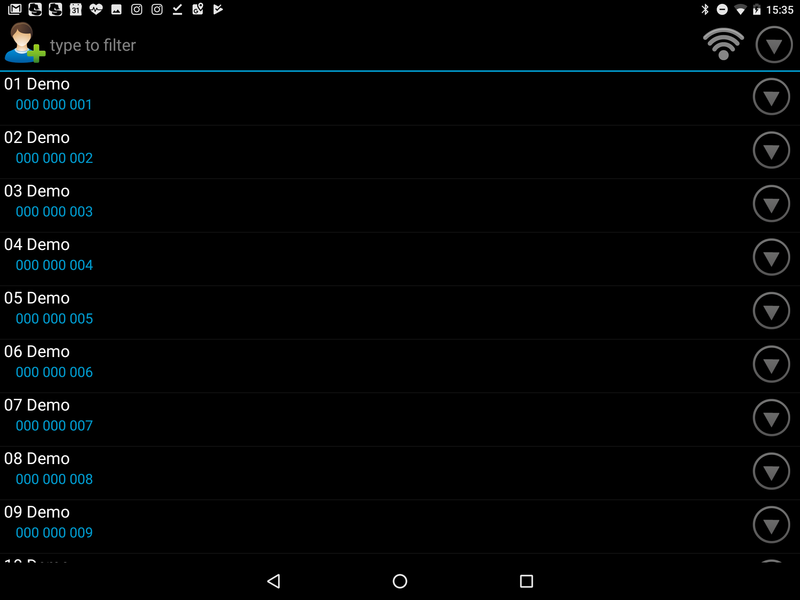 CardioFlex WiFi can connect wirelessly to any Android device. 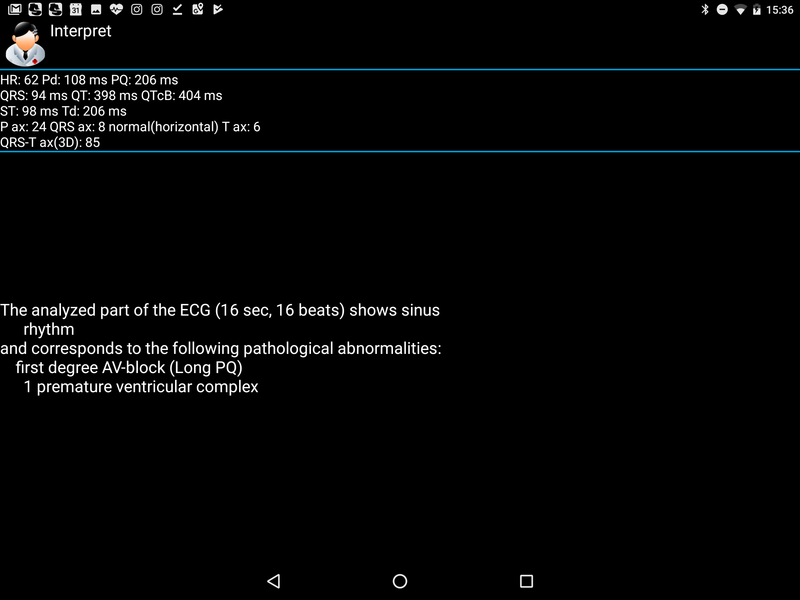 The Android app can be used to record ECG's on location and makes an automatic diagnosis. 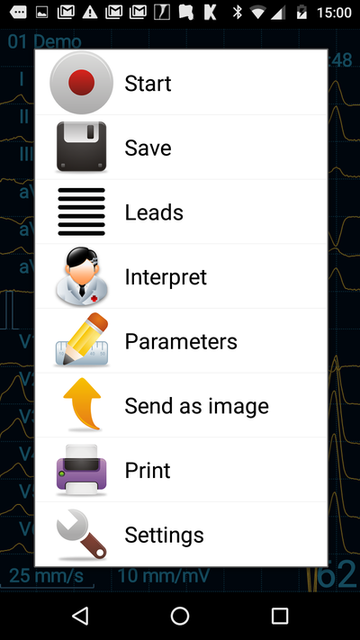 Results can be transfered to the PC software and exported to PDF with 1 click. 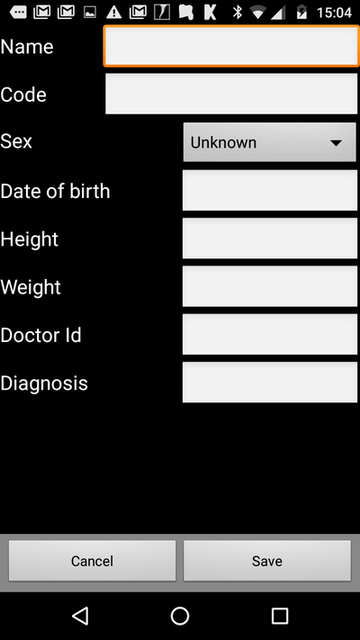 The app can be used in landscape mode and in portrait mode, and on a mobile phone or tablet PC. 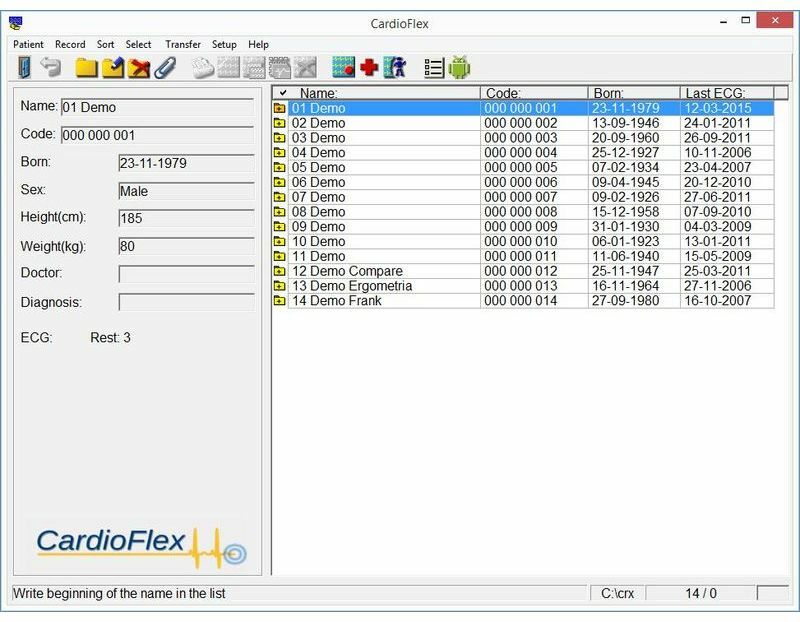 Do you need more information on CardioFlex? 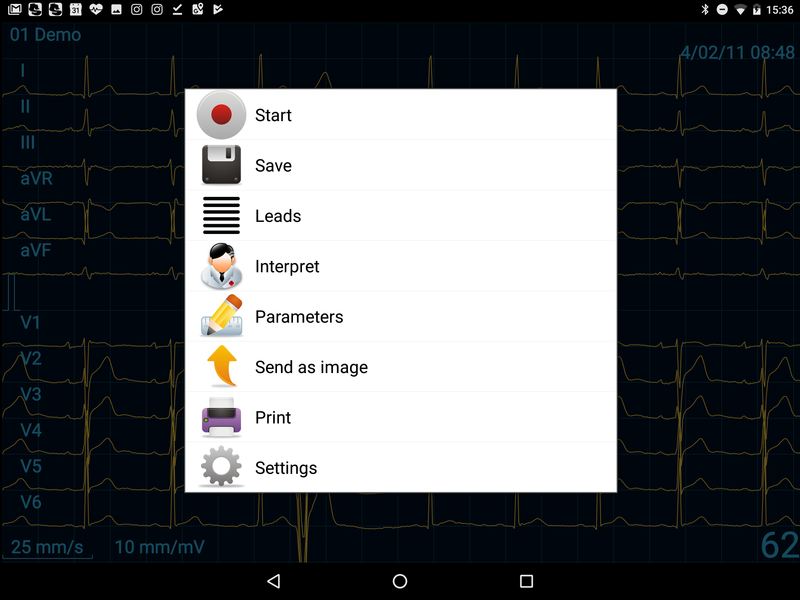 Do you want to buy this ECG device?